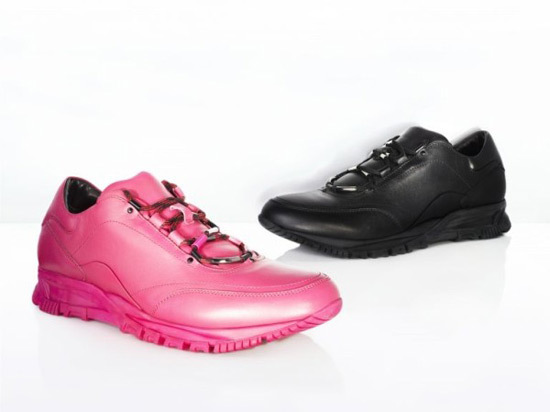 French fashion house Lanvin will launch an athletic footwear line for fall/winter 2014. The shoes come in different colours and materials and in smooth and textured calf leather, lizard skin rubber and polished python. Beside classic neutral tones, new collection also has some unusually bright shades like pink, orange and turquoise, plus crazy prints like zebra. The sneakers also feature details such as laces, side zippers and elastic flaps. The luxe Lanvin Homme men’s sneaker collection is set to launch in stores and on the brand’s website from mid-September.